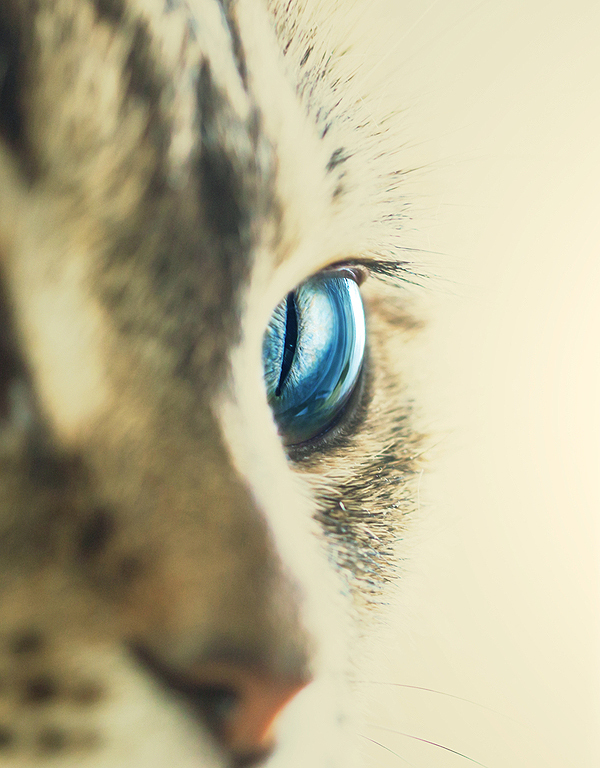 Ask a Vet: How Do Cats’ Third Eyelids Work? 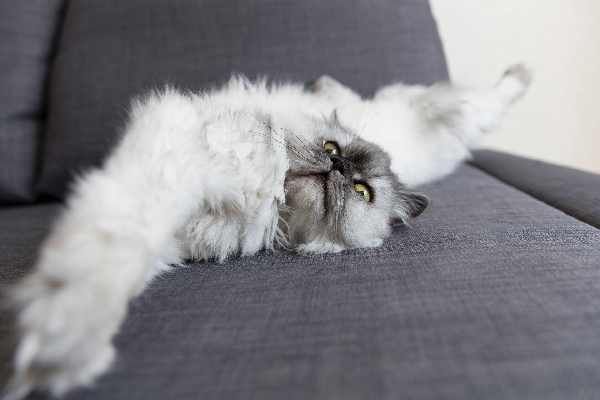 Whether you find your cat's third eyelid unsavory or not, you should know that it's an important portion of his or her anatomy. Having your ear chewed off (metaphorically speaking) at parties is an occupational hazard for vets. Here is the scenario: A vet is at a party, and starts chatting with a new acquaintance. Inevitably the subject of careers comes up. And occasionally, when the vet reveals his career, the other person has a very exaggerated reaction. Some people are just fascinated by veterinary medicine and all things related to animals. They usually start by saying that they wanted to be a vet when they were a child (I can’t fault them for that — so did I). They next tell the life story of every pet and animal they have ever known. They often spend a great deal of time describing a problem with a pet hoping for some free advice. Sometimes it turns ugly, such as when they complain about their most recent veterinary bill. It can go on for hours. In my younger and more reckless days, I had a tactic that I reserved only for desperate situations. I would ask my interrogator if he or she had ever seen a cat’s third eyelid. I would then pick up a nearby cat (naturally this trick only worked at houses with cats), and gently press on the cat’s upper eyelid while holding the cat’s eye open. 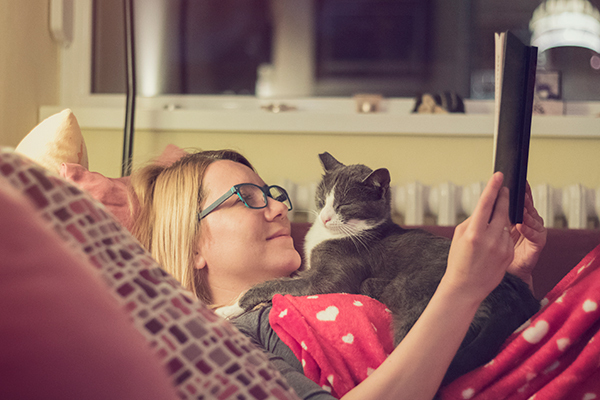 This procedure, which causes no pain or harm to the cat, induces the third eyelid to slide across the eye. And it is a nearly fail proof way to bring a conversation to a halt long enough for the vet to escape in the direction of the keg. Most people think third eyelids are really gross. So what are third eyelids, and why do they make people squeamish? The third eyelids, also called the nictitating membranes, generally lie tucked out of sight in the central (also known as medial — near the nose) portion of the eye socket. Unlike the other two eyelids, which open and close by moving up and down, the third eyelid slides back and forth across the eye from the center to the outside. It is a moist membrane that may be pigmented (dark), or may lack pigment and consequently be pale or pink (from blood vessels that run through it). Why does the sight of a third eyelid make some people nauseated? That one’s harder to answer. Third eyelids don’t bother me, but I’ve been jaded by having seen so many of them. I think some people just don’t like the sight of membranes. And I also suspect that the left-and-right movement of the third eyelid just seems unnatural to many folks. 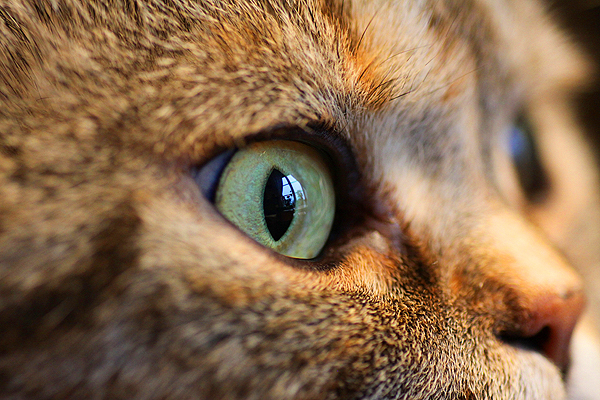 Whether you find your cat’s third eyelid unsavory or not, you should know that it’s an important portion of his or her anatomy. It contains a gland that produces a significant portion of the tears that the eye needs to stay healthy and moist. It also helps hold the tears against the eye, and it helps to sweep foreign material off the eye — which is very important to creatures who don’t have fingers with which to rub their eyes. 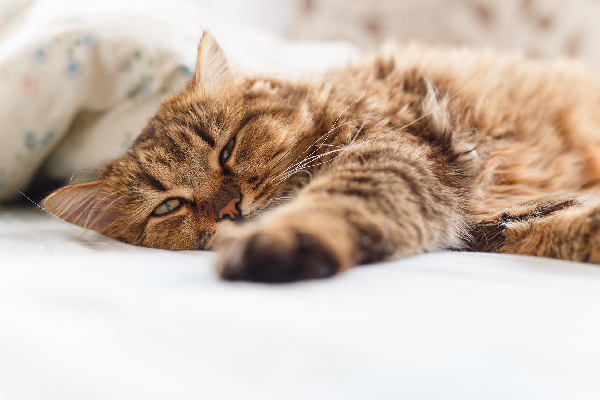 You are most likely to see your cat’s third eyelids when he or she is sleeping. It is not uncommon for cats to sleep with their eyes partially open, but with the third eyelid covering the eye ball. This phenomenon is generally harmless. 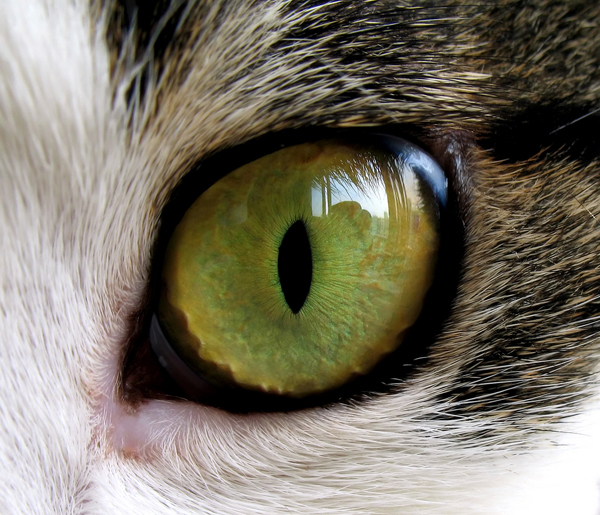 Some cats have protuberant third eyelids by nature. (For our purposes, a protruded third eyelid is one that you can see.) For instance, many Siamese (especially those of the cross-eyed variety) will have visible third eyelids in both eyes. This phenomenon also is generally harmless. Both of the above situations are long-term ones. Owners of such cats generally are used to the sight of the third eyelids, because they have been visible for the cats’ entire lives. These situations are usually nothing to worry about. 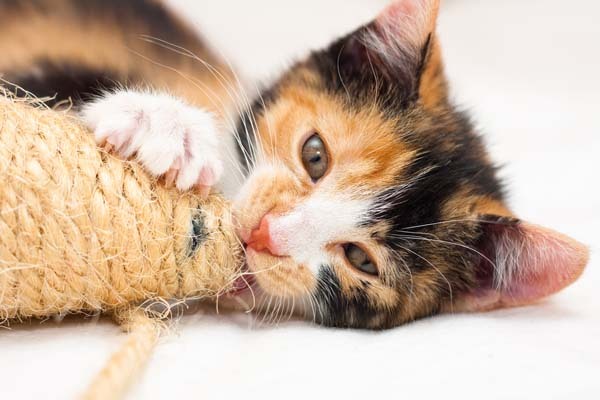 However, the same thing cannot always be said for cats that develop sudden third eyelid protrusion. Sudden third eyelid protrusion, or a change in the amount of third eyelid that is visible, can be a sign of a medical problem. Anything that causes eye pain can cause the globe (eye ball) to retract into the socket. The pressure from the retraction causes the third eyelid to protrude, just as the pressure from the finger of a devious vet at a party can cause the third eyelid to protrude. Eye and respiratory infections are common causes of eye pain and third eyelid protrusion. More serious eye problems such as corneal ulcers or foreign objects in the eye also can cause the third eyelid abruptly to become visible. Inflammation of or trauma to the eye can cause the third eyelids to protrude. Some medications, especially a tranquilizer called acepromazine, can cause the third eyelids to elevate (protrude). The third eyelids generally retract when the effects wear off. Third eyelid protrusion also may occur as the result of a so-called space occupying lesion in the eye socket. Such lesions, which include tumors, dental abscesses, and cysts, increase the pressure in the socket and elicit third eyelid elevation. A neurological condition called Horner’s Syndrome can cause the third eyelid to elevate. This condition often happens after ear cleanings because one of the nerves running to the eye passes through the ear. If the eardrum ruptures during the cleaning, the nerve can become irritated and Horner’s Syndrome can result. Horner’s Syndrome caused by ear cleanings usually resolves with time. Certain systemic disorders can cause the third eyelids to elevate. These range from autoimmune diseases to low blood calcium levels to a type of blood cancer called lymphoma. Any cat who develops abrupt protrusion of one or both third eyelids should therefore receive immediate veterinary attention. The vet will want to perform a thorough physical exam and will likely recommend eye tests and possibly general health screening tests. But although there are potentially serious causes of third eyelid protrusion, owners of such cats should not panic. There are also harmless causes. As I mentioned, medications and Horner’s Syndrome most frequently lead to reversible third eyelid elevation. Also, a relatively common condition called Haws syndrome causes bilateral third eyelid elevation for unknown reasons in cats. The condition generally resolves within a few weeks. While you are busy not panicking, I also recommend that you try not to be disgusted by the sight of your cat’s nictitating membranes.